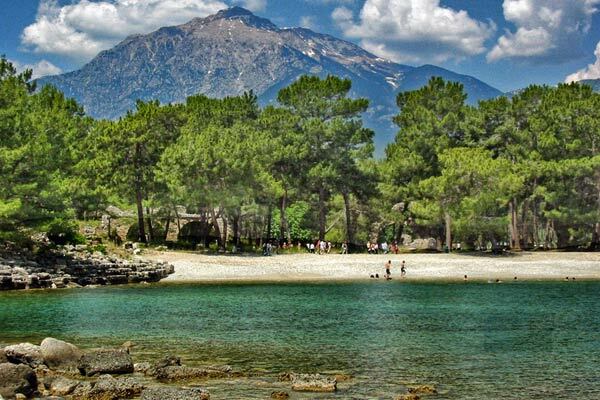 CIRALI resort of Kemer, of Antalya catches people's attention with "sun, sea and natural beauties" as well as the historical richness. 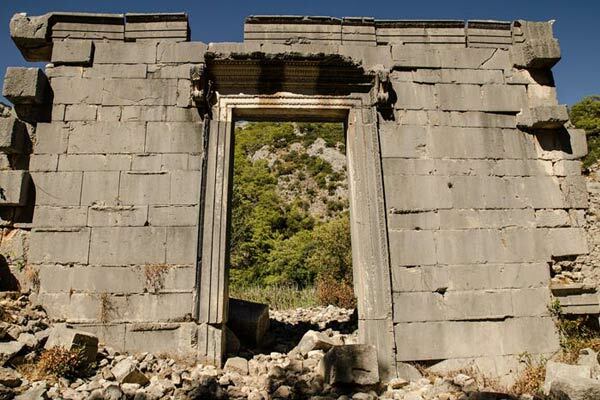 At South end of the city lies the ancient city of Olympus, and in the north west there is the Yanartas (Chimera). 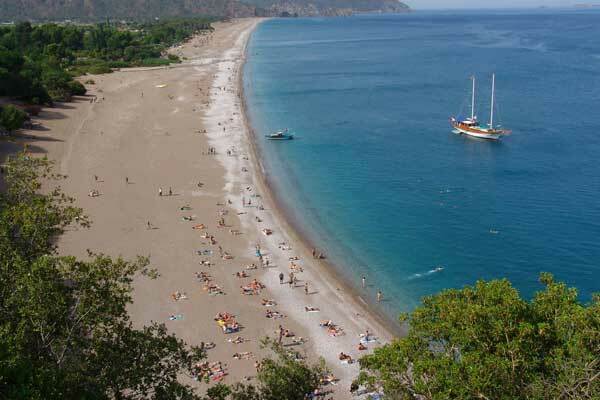 The pearl of Antalya, Cirali's coastline is 3.2 km in length. And its width ranges between 50 to 100 meters. 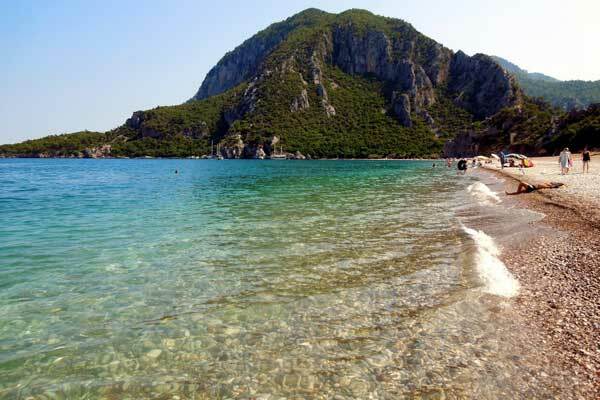 The beach rises in a gentle slope from the sea. On both ends it is limited with rocks. 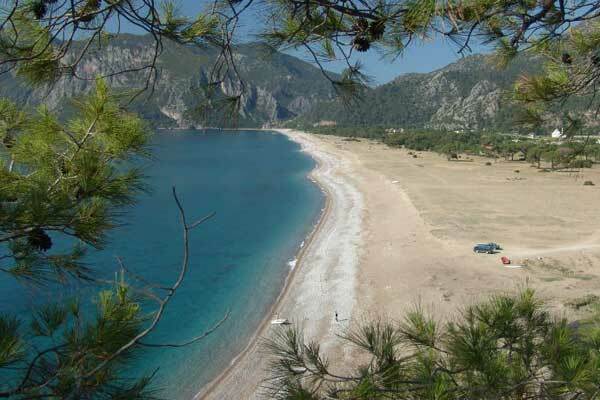 Cirali's coastline is made of generally fine-grained structured high-quality sand. 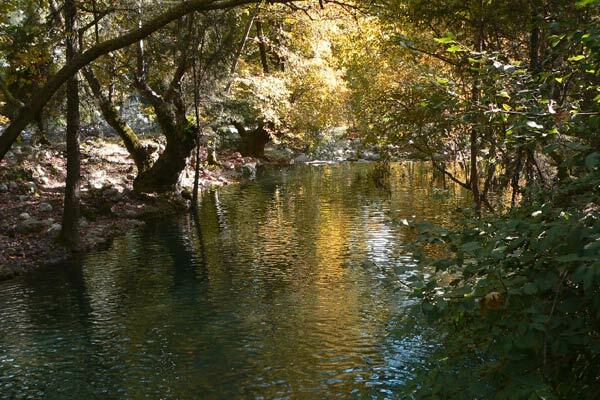 At South end through the ancient city of Olympus, a stream passes and merges with the sea. 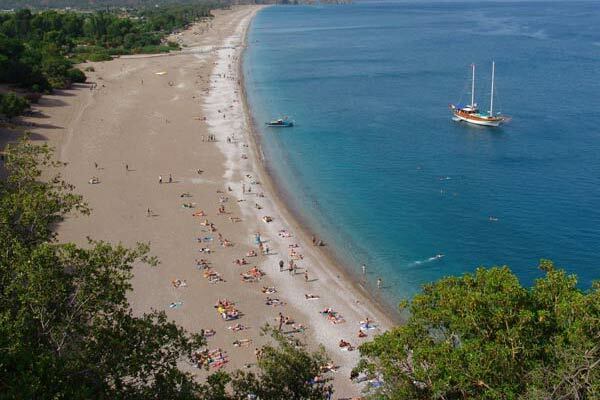 You can easily enjoy the sea and take sunbathe in Cirali which has a very clean sea. 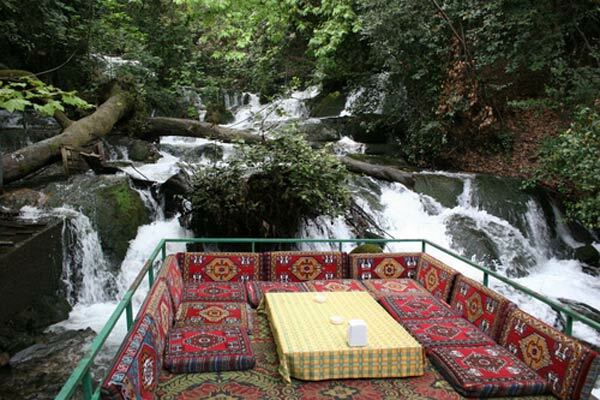 In Cirali region there are very nice boutique hotels, restaurants, Cirali wooden houses, pensions and hotels. 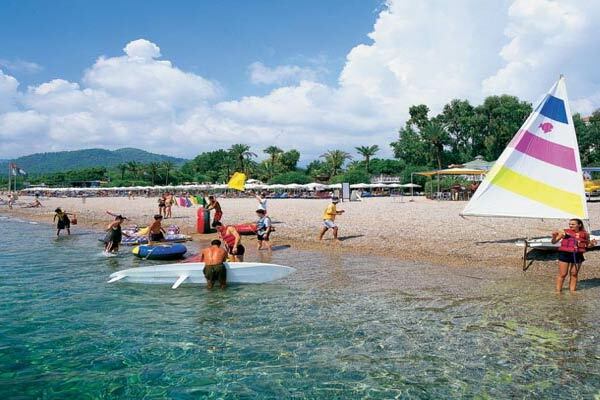 You have the opportunity to stay in facilities with different options and you may enjoy the breakfasts made of all-natural products, at lunch time the vegetable dishes, salads, grilled meat and if you wish you can attaste delicious dream tastes in the restaurants situated at sea shores. 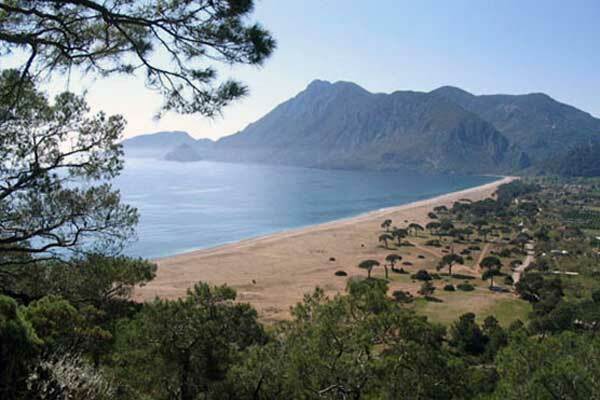 You can watch the sunset in the pristine coast of Cirali and have a walk in the Olympus area. 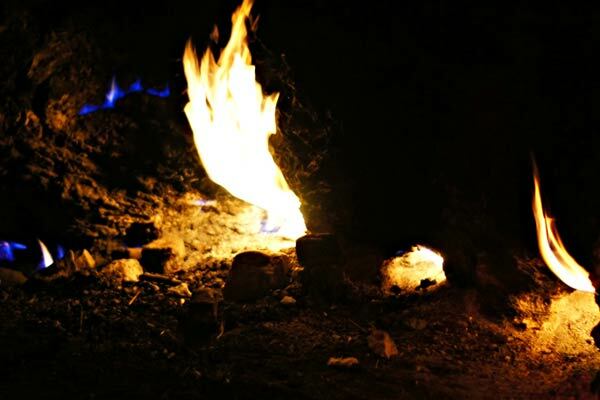 At night the unquenchable flame of Yanartas is waiting for you. 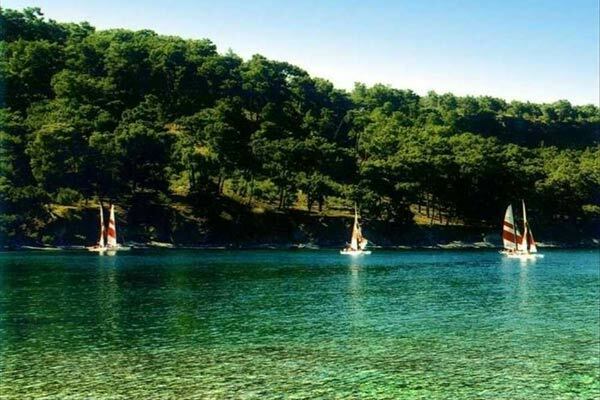 We are look forward to see all the individuals in Cirali who are after completely stress-free natural ways to relax and have fun. 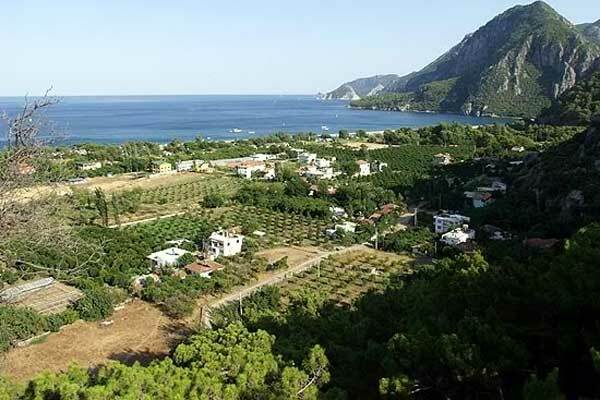 Olympus has been located in the western side of Antalya and between Kemer and Adrasan. 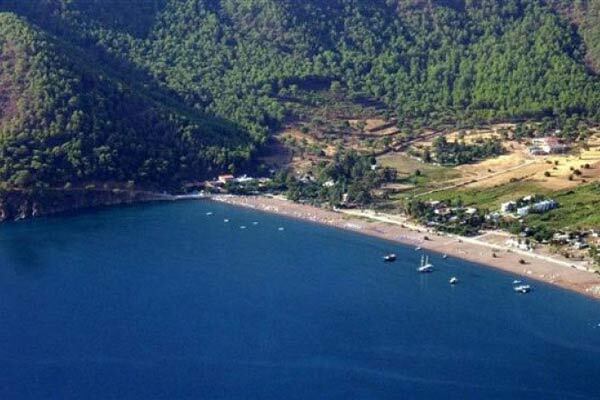 While going to Kumluca from Antalya, you will see the sign of Olympus after passing Phaselis. Its exact establishment date is not known, however it is a port city which's name has been written on the coins of Likya Confederation printed between B.C. 168-78. It has kept its existence till A.C. XV. Century. The famous Bellerophontes legend has been lived here. Ancient city is on the both sides of the valley having a unique beauty. The city is a settlement place surrounded with perpendicular mountains on the southern and northern part. Olympus is one of the very important port cities of Ancient Likya and always been the subject of mythology in the history. Since Mountain Omurga, which separates two valleys, does not have a passage, the city is like a dead end. 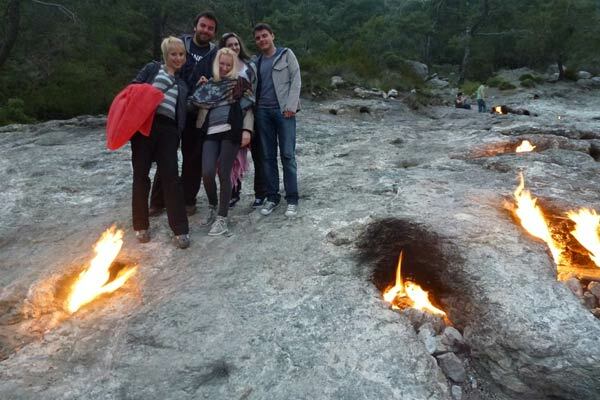 The passage between the valleys was provided with a natural rock hole in the first centuries. Olympus had its name from this rock hole. 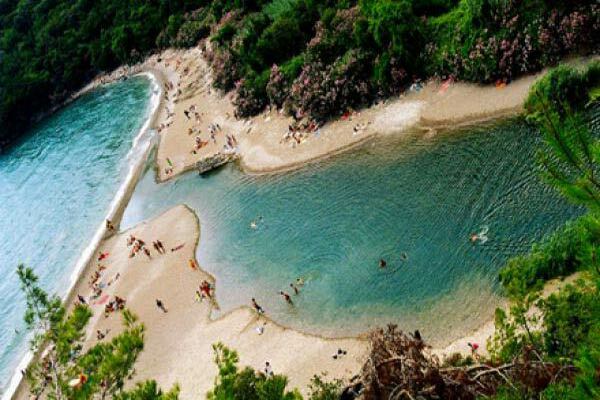 However, as the sea is getting far from the shore in the past years, this hole has lost its functionality and it is filled with sand and stone. 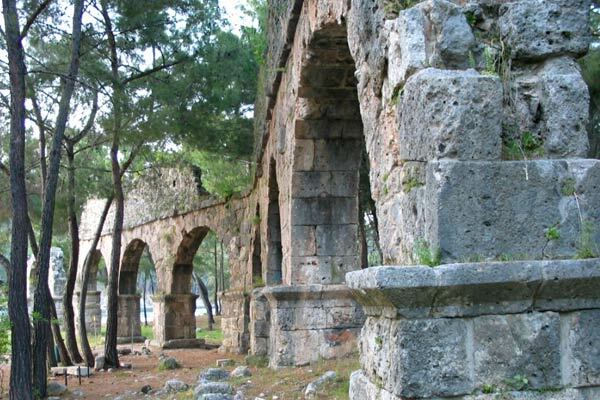 Many ruins can be seen, such as water channels, city walls, tombs, etcâ¦. 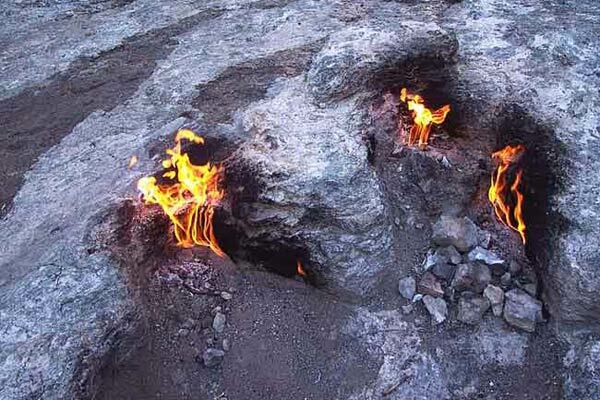 In Chimaeras, one of the Likya city, the fire that has not been extinguished since ancient times is formed of the natural gases coming on the surface from its source. The fire was stronger before, but as the time passed it became smaller but with more flames. 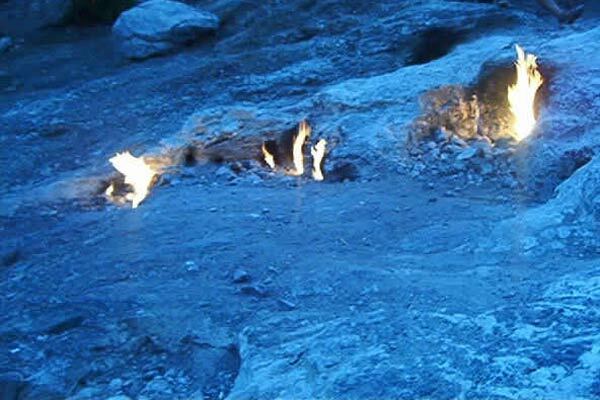 The flames are not clearly visible during the day, but it is much more interesting to watch it in the evening. 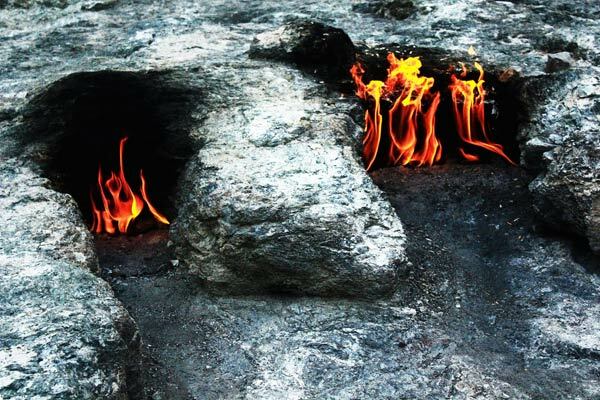 After walking 20 minutes from Oren, you can reach to this hill where the burning stones are located. .
UlupÄ±nar is located in 11 km northwest of ÃÄ±ralÄ±, the region is known with its cold water sources and trout production plants. As can be understood from its name, there are many huge plane trees in the region. 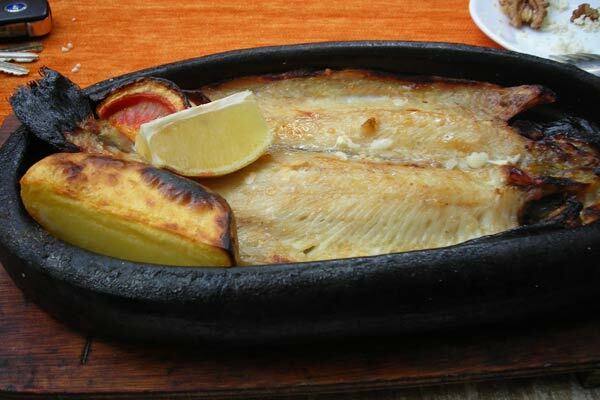 The visitors coming to the region prefer to eat trout in the restaurant and ice cream with melon as fruit or Fig Dessert. 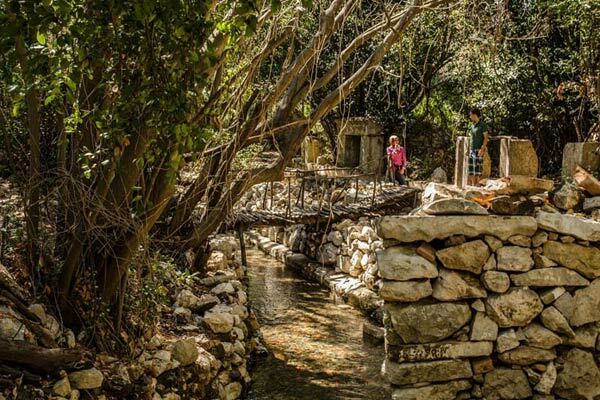 Ottoman bridge with one belt, which has hidden itself in the valley, and water mill are historical structures that must be seen. 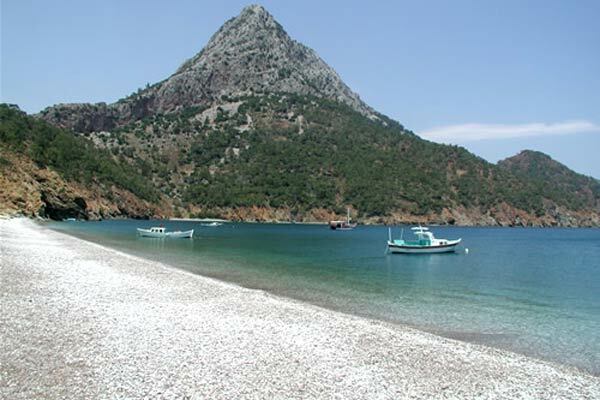 Adrasan is a touristic settlement place located in 90 km southwest of Antalya and having 3000 population. 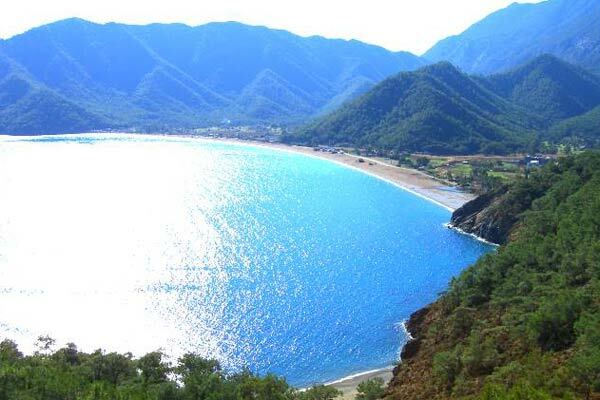 Even though its name has been changed as CavuÅkÃ¶y in the early 1960s, the regional people are still using Adrasan name and have taken legal steps to change the name to its old name. Many cultures have given different names to the region. Great Ottoman Navigator Piri Reis refers Adrasan Port as Venice Port. 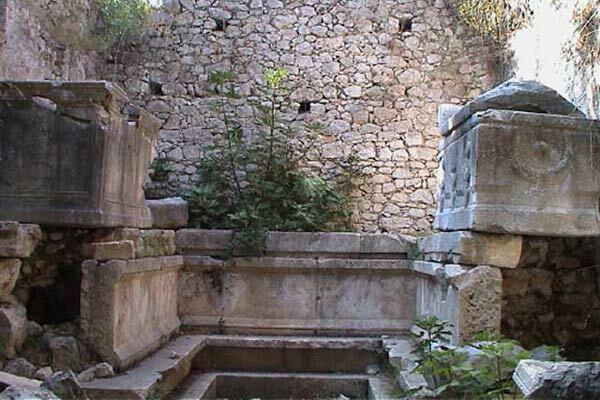 There are many ancient ruins in the region. 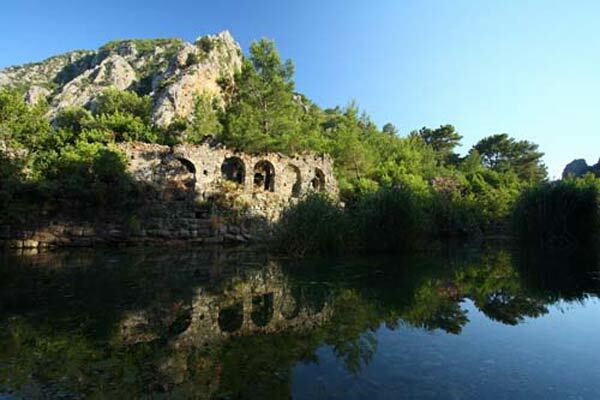 During the excavation works of a hotel in the region, a necropolis area belonging to Hellenistic period has been found and Museum of Antalya has made a rescue excavation. There are orange gardens, pomegranate trees and olive trees in Adrasan plain. Most of the local citizens deal with greenhouses. 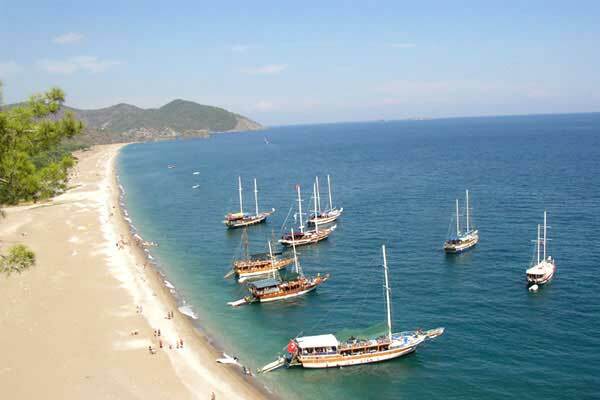 Tourism is increasing in the region and best service is given to both local and foreign tourists. The increasing number of the hotels and pensions in the region is the best evidence of this. 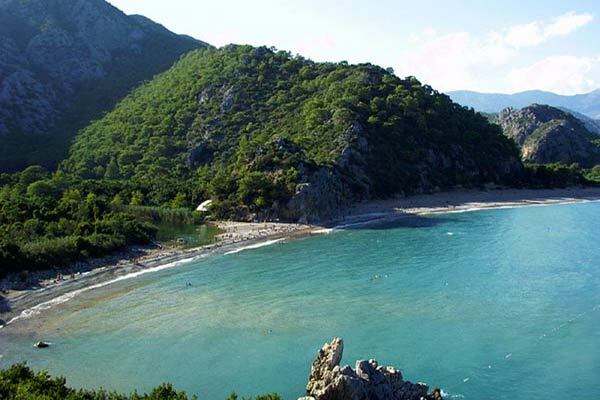 When turned to southern part from the 57th km of Antalya - Kumluca highway, you can reach Phaselis after approximately 1 km. The city has been established by Rhodesians in B.C.VII. Century. It has been the most important port of Likya's east part for long years. 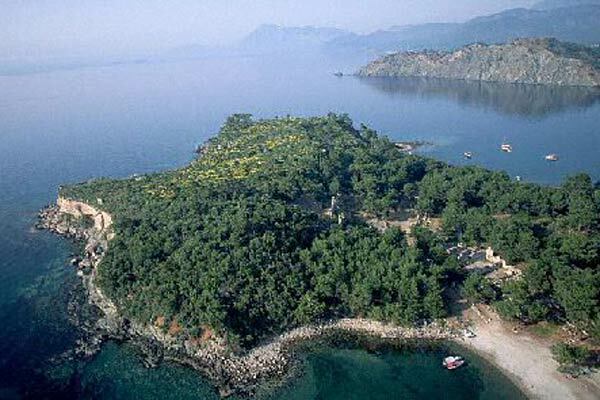 Phaselis has three ports. Northern Port, War Port or Protected Port and Sun Port. The most important one is the one located in southern part. There is a wonderful street having 20-24 meters width in the center of the city. There is Hadrian Gate on the southern end of this street. There are pavements and shops on both sides of the street. 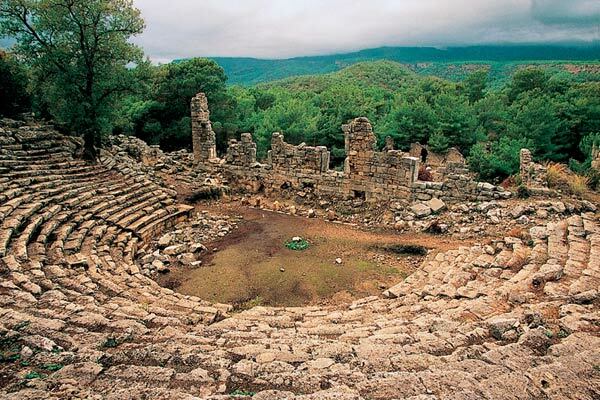 There are Turkish bats, Agora and Theater, and similar public structures near them. It is said that the history of these structures goes back to B.C. I. and II. Century. 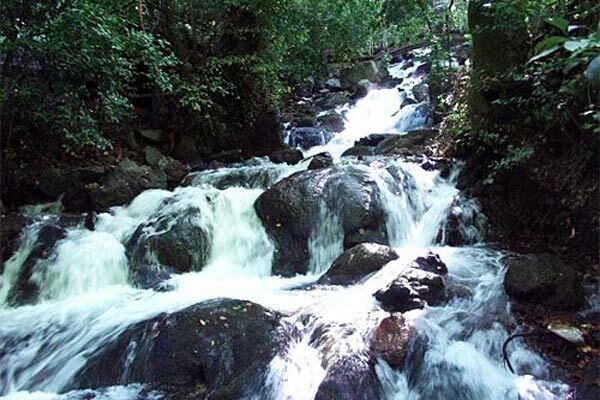 There are water channels between the settlement place located on the plateau having 70 meters height and the city center.